This is a great introduction to politics. I also really like that it portrays an African American running for president on the cover. 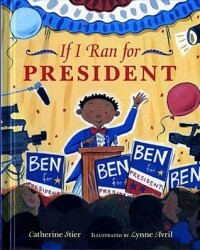 After reading this book, allow students to create their own campaigns if they were running for president. Have them think about what they would change or what they would like to accomplish as president. They could make posters and write their own persuasive speeches. This is appropriate for grades 3-5.